This 16" x 16" mixed media collage piece was created on a hard canvas by using multiple layers of vibrant colored tissue papers and acid free glue are placed on a canvas and then sealed with a UV resistant coating. 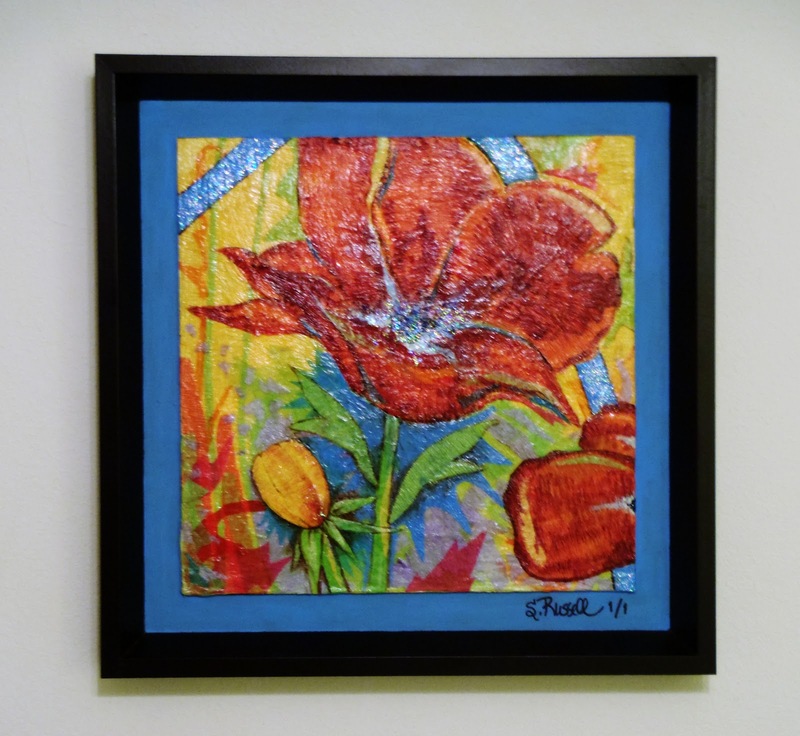 "The Red Poppy" was inspired by red poppies; a memorial day tradition to remember veterans. Along with flags, one of the most common sights on Memorial Day are red poppies sold by the Veterans of Foreign Wars(VFW). This tradition was started by Monia Michael in 1915. After reading the poem “In Flanders Fields” written by Col. John McCrae of Canada she was inspired to both write a reply to his poem and wear a red poppy on Memorial Day. The tradition spread both throughout the country and to many other nations. In 1922 the VFW became the first veteran’s organization to sell red poppies nationally. Their “Buddy Poppy” campaign supports needy and disabled veterans. Contact Sherri by email at sherriannrussell@gmail.com to inquire about purchasing.